How do you invest in others? This question is on my mind right now, as I have been spending some time preparing a brief lecture for a group of students at Tyndale Seminary that I will present next Wednesday evening. The topic is “clergy self-care”, about which I have a fair bit of experience, both positive and negative. I look forward to sharing my experience and insights with these people from varying backgrounds who will be out in the field as pastors themselves before too long. I look forward to helping them learn from my mistakes! Sharing what I’ve learned along the journey of twenty-plus years of ministry is a great way to invest in others. I seek to do the same with the good people of St. Paul’s, Nobleton each Sunday, and through the week, in every aspect of my ministry. Whether it’s a message or a prayer during worship, a chat at Tim’s, the post office or the study, or even at a meeting – my goal is to invest in people so that their walk with the Lord may be enriched somehow. I hope you’ll find this mailer to serve as good ‘support’ for you as you invite your friends to worship at St. Paul’s for Easter or any other Sunday. It will be distributed to all households in Nobleton, the rural routes north of town, and some of the homes in Schomberg. If you invite a friend who receives it, each will reinforce the other and the possibility of your friend attending will be greater. If you find it difficult to invite a friend to church, ask God to give you the courage and the strength to do it, and see it as an investment in eternity for your friend. 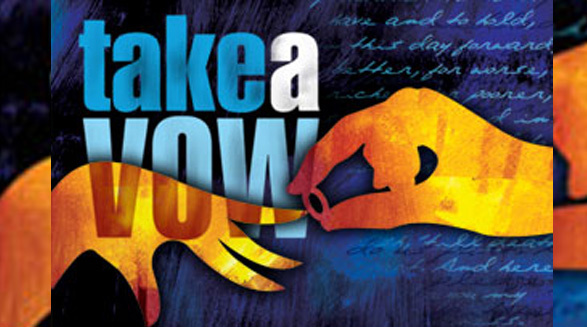 Many people have found their lives changed through one simple invitation to worship. I know you can do it! This Sunday, at St. Paul’s, Nobleton, I will be ordaining two new ruling elders to serve in leadership in the congregation. (We will also welcome one elder who has served before and will be inducted again.) These two new elders whom I will ordain are women. They are not the first women, by any means, who have been ordained to serve in this church family. Indeed, The Presbyterian Church in Canada has ordained women to both teaching and ruling eldership since the late 1960s. Many people, especially those from very conservative backgrounds, wonder how it is that we can ordain women, in light of certain passages in the New Testament. I could argue at length about my own (and my denomination’s) interpretations of these texts, and I could tell my own experience of women in leadership roles who have influenced me – not least my maternal grandmother, who became a Baptist deacon while I was still in short pants. But I would rather turn it over to one more eloquent – and convincing – in his speech and writing, my friend Dr. John Stackhouse, who teaches at Regent College in Vancouver. Read John’s blog post on egalitarianism here. I welcome your comments, as does John. I believe that God has given extraordinary spiritual gifts for service in leadership in his church to the women I will ordain on Sunday, and I look forward to serving with them (likewise with the fine man of God who will be welcomed back onto the Session after a time serving in other areas of church life). The role of women in leadership divides some Christian groups, and I think this is unnecessary. Mature believers can agree to disagree, but I believe these women are called by God to serve in leadership. Another stage in the adventure begins this weekend! The Dead Sea Scrolls Are Coming! …and numbers of you are saying, “So what? !” But before you click elsewhere, take a minute to read why I think this is a pretty big deal. The Dead Sea Scrolls are rolls of parchment, or fragments of parchment, on which are written portions of the Old Testament. They were found beginning in 1947, initially by shepherd boys who were tossing stones into caves high above the Dead Sea. The Dead Sea is a large, salty (thus ‘dead’) lake that separates Israel from Jordan, east of Jerusalem. See the map for orientation (thanks to MSN/Encarta). The discovery of the Dead Sea Scrolls revolutionized Old Testament biblical scholarship as we know it. There is an entire discipline within biblical studies that is dedicated to the study of the Dead Sea Scrolls, and it has a language all its own. If you thought my ModelTrainSpeak was difficult to understand, try carrying on a conversation with a Dead Sea Scrolls scholar! Each scroll fragment has an alphanumeric designation that makes my references to an AC4400CW locomotive seem simplistic. Really! In 2007, as part of my work with the Canadian Bible Society, I attended a symposium on the scrolls that we sponsored. Most of the lectures went a long way over my head. The great thing, though, is that the discovery of the Dead Sea Scrolls has confirmed the reliability of the Old Testament. Understandably, no one has possession of original manuscripts of the Old Testament. So when the scrolls were found, scholars were very curious to find out if the manuscripts they had been working with – which were virtually all more recent than those found at Qumran (the ancient community whose ruins are near the caves) – would show any significant differences in how we understand the Old Testament. Remarkably, the differences were very, very few – usually in the form of small spelling errors that had been made in the process of copying manuscripts. (Remember, this was in the days before Xerox or Gutenberg! Everything was copied by hand.) Where there were significant differences, these have been noted in all newer Bible translations beginning with the Revised Standard Version in the 1950s. Footnotes are used to show where there are differences. For example, in the New International Version (our pew Bible translation), Isaiah 51.19 reads, “These double calamities have come upon you – who can comfort you? – ruin and destruction, famine and sword – who cana console you?” Then, at the bottom of the page, the footnote reads, “a19 Dead Sea Scrolls, Septuagint, Vulgate and Syriac; Masoretic Text / how can I”. What that footnote means is this. When scholars looked at the Dead Sea Scrolls, they found that the scrolls agreed with the Septuagint (the Greek translation of the Old Testament, originally dating back to around 250 BC), the Vulgate (the Latin translation of the Bible, originally dating back to the 4th century AD), and the Syriac version of the Old Testament (the Bible in that language dates back to around the 5th century AD). They found that this was slightly different than the Masoretic Text, which was, up to the time the Scrolls were found, the oldest version of the Old Testament available for translation. It was named for the Masoretes, who were a faithful guild of Jewish transcribers of the Old Testament. The Dead Sea Scrolls contain some part of every book of the Old Testament except the book of Esther. In the case of Isaiah, Deuteronomy and the Psalms, there are multiple copies. Most of the scrolls are written in Hebrew, but some are in Aramaic (the language Jesus spoke). There are writings in the scrolls that are not part of the accepted canon of the Old Testament, too. Maybe I haven’t gotten to the “So what? !” part for you yet. 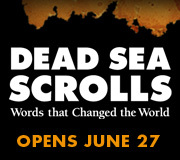 Here’s a thought: the Scrolls are coming for an exhibit at the Royal Ontario Museum in Toronto beginning June 27. Many of your friends have an interest in the Bible, even if they don’t go to church. Why not have a fun day with your friends, and invite them to join you on the trip to the ROM? You’ll find, together, that the exhibit will strengthen your trust in the Old Testament as an integral part of God’s Word. It might even open your friends to consider coming to church with you. In 1 Peter 3.15, the apostle Peter wrote to the church (and to us): “Always be prepared to give an answer to everyone who asks you to give the reason for the hope that you have. But do this with gentleness and respect”. Being “always prepared” doesn’t mean having to have all the answers; it means being receptive to the questions, and willing to seek answers. The ROM is giving us an opportunity to share our faith with hundreds of thousands of people who will visit the museum during this exhibit; some of them will be our friends. I encourage you to see this as an opportunity to share your love for the Lord and his Word with others. Normally, I don’t comment much on controversial news items, but after watching the 11 o’clock news on Friday night, I couldn’t help myself. It seems that Uxbridge Secondary School is staging several performances of “The Laramie Project”, a theatrical presentation that decries the senseless death of Mathew Shepard, a young man who was killed in Laramie, Wyoming, some ten years ago simply because he professed to be homosexual in orientation. The production (which I have not seen) seeks to discourage people from hating others, particularly based on their sexual orientation. This would not be newsworthy in Canada, except that the Westboro Baptist Church in Kansas, made (in)famous by its outspoken pastor, Fred Phelps, has decided to do a little cross-border picketing: according to this proclamation, people from this rather unique congregation are ferrying themselves into rural Ontario from the Breadbasket of the Midwest to tell the people of Uxbridge that they are on their way to hell (in a breadbasket, perhaps?!) because of the staging of “The Laramie Project” at Uxbridge Secondary School. Now, I don’t happen to believe that, according to Scripture, it is God’s will for a person to live a homosexual lifestyle. However, I also don’t happen to believe that Westboro Baptist Church’s approach to discouraging such a lifestyle choice is in any way helpful or even godly. If anything, saying that “God hates fags” – and by association that “God hates the Uxbridge Secondary School” – is among the most ungodly things one could ever say. It is presumptuous to believe that one has such a firm grasp on the will of God that one could aver that God “hates” anyone, or anything except sin! To tell the people of Uxbridge – a community that I know has a large number of exceptionally mature followers of Christ – that they are on their way to hell simply because their high school wants to discourage hatred is beyond comprehension. God loves all people – even those who engage in intentional sin, whatever that sin may be; God so loves us that he yearns to see us grow out of intentional sin. Jesus died for all who sin – people like me. The Holy Spirit leaves open the door that Westboro Baptist Church has sought to shut tight. Any repentant sinner is welcomed into the family of faith when she or he chooses to trust Jesus as Saviour and Lord and seeks to walk in a way that pleases God. To engage in the degree of vitriol and rhetoric that Westboro Baptist Church does actually discourages people who may consider turning away from an ungodly lifestyle. In short, the kind of actions shown by Westboro Baptist Church are, in my opinion, intentionally seeking to thwart the work of the Spirit in bringing about genuine conversion, and attempting to portray to people something the Bible does not: that one sin is worse than another. The glorification of the homosexual lifestyle and any attempt to make it appear acceptable from a biblical standpoint are likewise not helpful to the cause of the gospel. Deception in one direction is no better than deception in another! But, if I read Scripture correctly, the language of love is much more likely to convince us of our sinfulness, and lead us into a relationship with our Creator, than the language of hate. Mr. Phelps, and Westboro Baptist Church, you are not helping build the church of Jesus Christ. You are turning people away from it. May God have more mercy on you than you expect he will have on those who disagree with you! And to the people of Uxbridge, and the students at USS: please know that Westboro Baptist Church does not speak for the church universal. Christians don’t all agree on the issue of sexual orientation, but those who truly follow Jesus do agree that God loves all people and that he longs to have a personal relationship with each of us through Jesus – a relationship that changes us from the inside out, making us more like Jesus with every breath we take and every step we make. There’s a document that’s been produced by a steering committee of committed evangelicals in the United States entitled, An Evangelical Manifesto: A Declaration of Evangelical Identity and Public Commitment. You can read the document, and see the list of the steering committee members and the signatories, here. I read it, and in agreement with my friend John G. Stackhouse, Jr., that it is an eminently moderate manifesto. The dictionary tells us that a manifesto is a public declaration of policy and aims (Oxford Pocket). Often, manifestos have tended to be more radical documents. This does not measure up to the adjective ‘radical’, except in its original meaning: to get at the root of something. And I think An Evangelical Manifesto does seek to get at the root of what it means to be an evangelical in contemporary society. Too often, evangelicals have been known for what they are against than what they are for. Too often, evangelicals have been known for persecuting rather than being persecuted. This document seeks to set the record straight, at least for those who drafted and have signed it. If you consider yourself evangelical, have heard of evangelicals, love evangelicals, hate evangelicals, etc., etc. – I commend An Evangelical Manifesto to your careful reading. What you read may surprise you. In this first decade of the new millennium, there has arisen within western Christianity a discussion that has become “the emergent conversation”. I am reluctant to call it a ‘movement’, because its (non-) spokespeople refuse to see it as a movement, or a new denomination, or anything more than a conversation in the literal sense of the term. The emergent conversation’s de facto (non-) spokesman has become Brian McLaren. You can google his name and find out lots about him, including the several books he has written to generate discussion in the church. Granted, much of what he and others have written is mostly germane to those based in evangelicalism, but it also speaks to those in other expressions of Christianity. I have read some of McLaren – not as much as I would like to – and some of Dan Kimball, perhaps one of the more conservative of those who affiliate themselves with the emergent conversation. My first introduction to sincere critique of the discussion came through reading Becoming Conversant With the Emerging Church by D.A. Carson. I picked it up because I have immense respect for the work of Carson, a Canadian New Testament theologian who teaches at Trinity Evangelical Divinity School near Chicago. Carson’s book is an expanded version of several lectures he gave on the subject of the emergent conversation (the terms emerging and emergent are often used interchangeably, not always with the approval of all concerned). It is full of footnotes and is, in my opinion, an excellent but laborious read. More recently, I have read Why We’re Not Emergent (By Two Guys Who Should Be) [Moody, 2008], written by Kevin DeYoung and Ted Kluck. I saw their promotional website and read the first chapter online – which compelled me to find and purchase the book as quickly as I could. DeYoung is a Christian Reformed Church pastor in Lansing, Michigan, and Kluck (a member of DeYoung’s congregation) is a staff writer for the American sports network ESPN. These two guys are in their early thirties, and involved in an evangelical Protestant American church – thus the sub-heading, “(By Two Guys Who Should Be)”. DeYoung is, predictably, more theological in his writing style, and Kluck is more experiential in his. But each is an excellent writer in his own right and both complement each other (by writing alternate chapters). These men have done their homework. They have read the source material on which they base their book with a thoroughness that would make their university professors proud. And while I don’t see relying on someone else’s reading of source material as a long-term substitute for reading it oneself, it gives the reader of their book some useful knowledge when conversing – ahem – with the conversation. Their goal was to have written in such a way that if either of them met an emergent conversation (non-) spokesperson at a conference, they’d be able to have a friendly conversation. I admire this, since there is much too much polemic among writers in the church today who critique (or criticize) other writers and thinkers with whom they disagree. At 256 pages, it’s not the quickest read in the world, but it is a very worthwhile read. It’s not often that one picks up a theological volume and finds it hard to put down, but that’s how Why We’re Not Emergent was for me. Kluck’s chapters read faster than DeYoung’s, predictably, but both were well worth the read. It would take more bandwith than is fair to offer all the highlights of the book I found salient, but suffice it to say I believe this book needs to be read by anybody who has read or heard of people like Brian McLaren, Dan Kimball, Doug Pagitt, Rob Bell, Spencer Burke, Donald Miller, Erwin McManus, Tony Jones, and others affiliated with the emergent conversation. Here’s one reason why, in the words of DeYoung: “Being a Christian – for Burke, for McLaren, for Bell, for Jones, and for many others in the emerging conversation – is less about faith in the person and work of Jesus Christ as the only access to God the Father and the only atonement for sins before a wrathful God, and more about living the life that Jesus lived and walking in His way” (page 120). To be sure, it is crucial (and I choose that word carefully) to live the life that Jesus lived and walk in his way. Not to do so is to miss a significant part of what it means to be a follower of Christ. But to boil down the Christian faith to an ethic based on carefully selected passages from Matthew, Mark, Luke and John is to miss an equally significant part of what it means to be a follower of Christ! While pointing out some of the perceived weaknesses of the emergent conversation, this book is more about a call to theological clarity – to knowing what and why we believe what we do – as a basis for living and walking the Jesus way. Like every other movement (or non-movement, or conversation) that has emerged (!) in the history of Christianity, the emergent conversation will leave a legacy to the church. The desire of the authors of this book is that its legacy be positive and biblical, that it build up the church rather than water it down. The great fear of many is that ’emergent’ could, if left uncritiqued, leave the church merely with a new-old liberalism which will not build the kingdom of God. Ultimately, the desire of all involved – emergents and critics alike – is, I trust, to give glory to God and to make him known to all and loved in the hearts of all people, and to make God’s kingdom come on earth as it is in heaven, through our living out of that glory we give to God. I’d love to hear from others – personal experience of the emergent conversation, reading of emergent writers, and both laud for what they do and criqitue of their shortcomings. What are you thinking? The simple reality is that if members knew what they were praying, they might be reluctant to pray it every day. That being said, it is important that we not water down to the lowest common denominator – that is, nothing – as a replacement for the Lord’s Prayer. Consult with people from every religious sect for prayers. Don’t just talk to “Muslims”, talk to Shiite and Sunni Muslims; don’t just talk to “Jews”, talk to Orthodox and Reform Jews; don’t just talk to “Christians”, talk to Mainline Protestant, Roman Catholic, Orthodox, Evangelical Christians, and all other sorts of faith groups. If you want to be pluralistic, be pluralistic. But if you want to honour the heritage on which Ontario was built, and respect the faith that forms the foundation for what we deign to call “democracy”, do not neglect the Christian roots of everything that brought Ontario into being – and what continues to make Ontario open to multiculturalism. Thank you. And may the God whom I worship – the God and Father of our Lord Jesus Christ – fill you with wisdom by the power of the Holy Spirit as you consider this important matter. I don’t like to think of Ontario being governed according to the tradition of lemmings. My prayer is that the panel considering the matter will do what needs to be done for Ontario’s best interests (not just for the sake of political correctness). The Lord’s Prayer as depicted in Matthew 6 and Luke 11 is a dangerous prayer, if we take it seriously. Personally, I’d be delighted if we all took it seriously – Your Humble Scribe included. If you’d like to have your say, and you are a resident of Ontario, Canada, click on www.ontla.on.ca and follow the link labelled “Consultation on Prayer in the Legislative Assembly”.